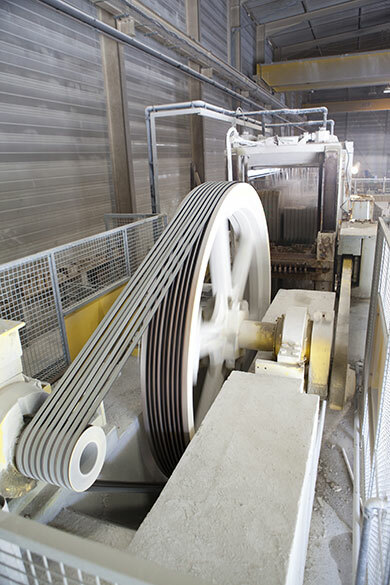 SETP Group has three stone processing plants, providing high-capacity production for supply to large-scale construction projects (tramways, airports, etc.) 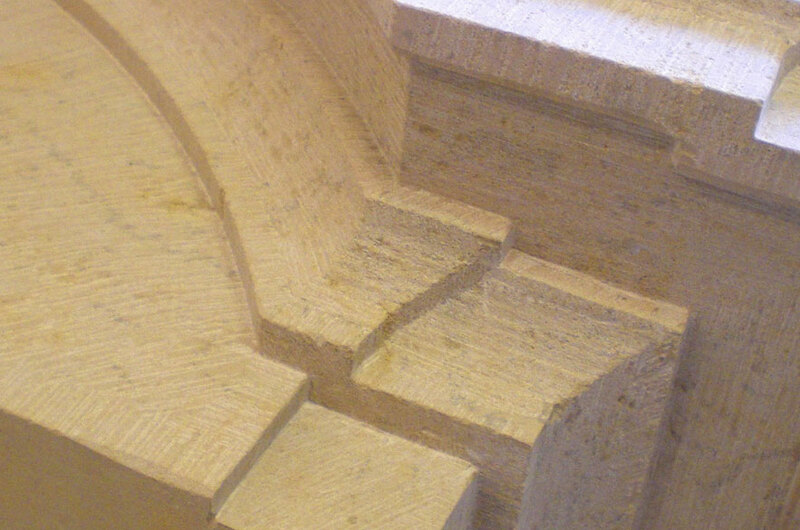 as well as considerable flexibility in supply to craftsmen or individuals for custom projects. 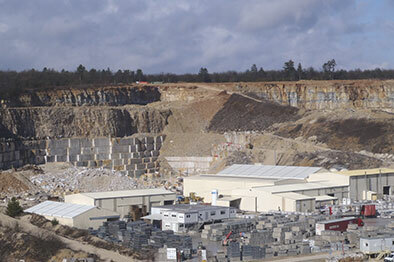 Most of the blocks extracted from the quarries are processed on-site in our plants, thus minimising transport of the raw material. 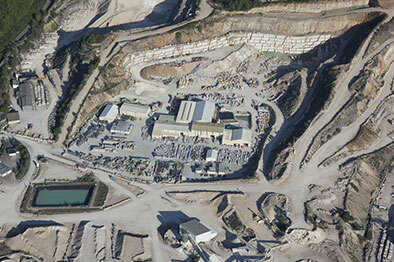 All our teams work in two 8-hour shifts to increase our production capacity. 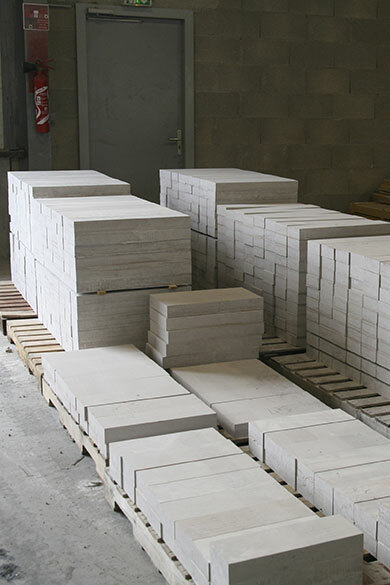 The rough block is cut into thick slabs (for highways) or thin ones (masonry). 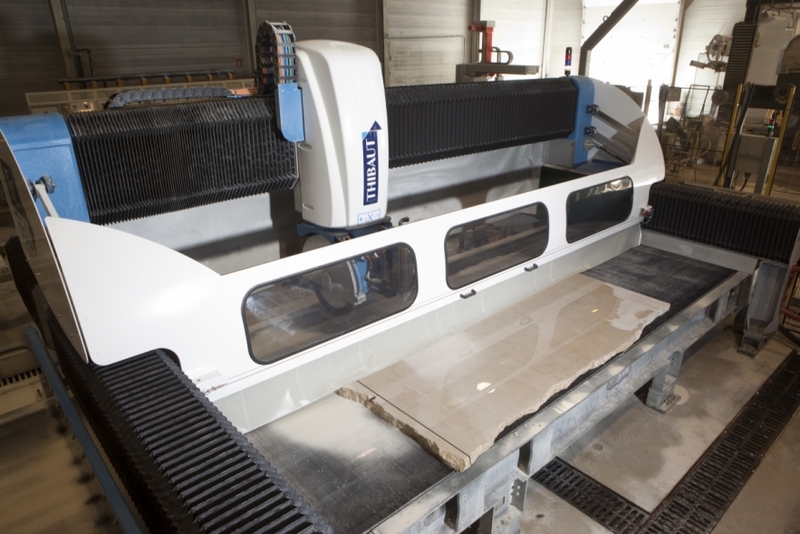 Sawing is mechanical, using steel blades with diamond tools: single blades or multi-blade chassis. 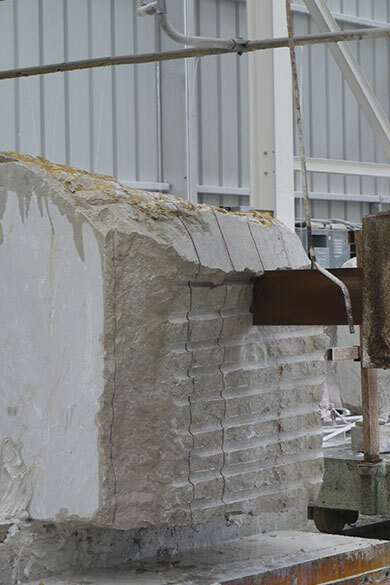 The blocks can be squared off in advance using diamond wire. 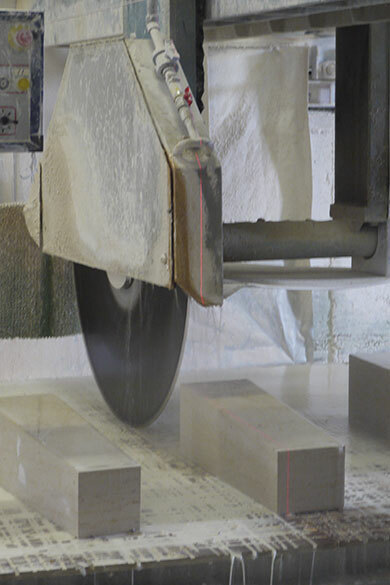 The block cutter cuts the slabs to size for making kerbs, flagstones or special items. 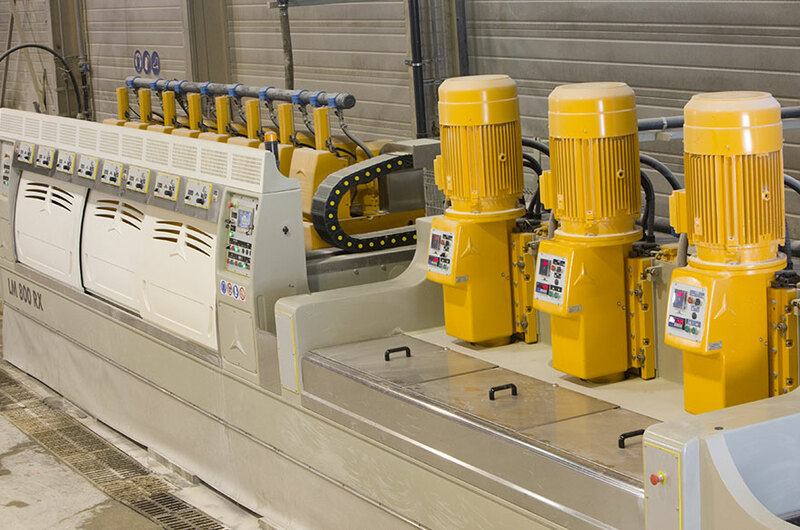 Production lines consisting of a number of specialised machines for the different stages of cutting and finishing are used for serial production. 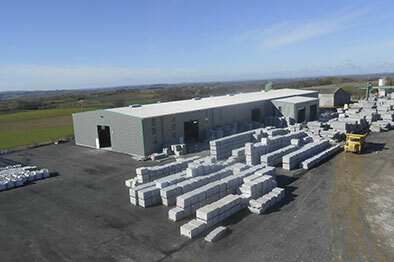 All types of cobbles are produced in the splitting workshop. 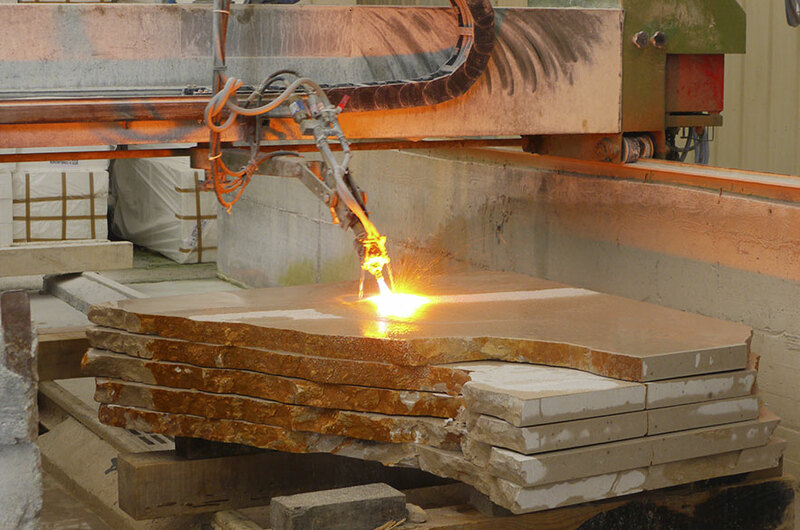 The finishing workshop applies all the surface finishes to the products (flaming, honing, brushing, etc. 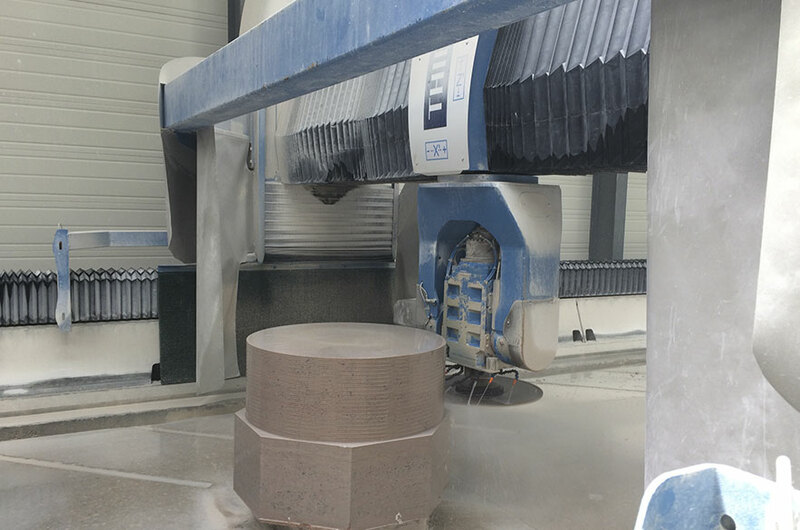 ), and carries out all the processes involved in profiling, moulding edges, milling, core drilling, etc. 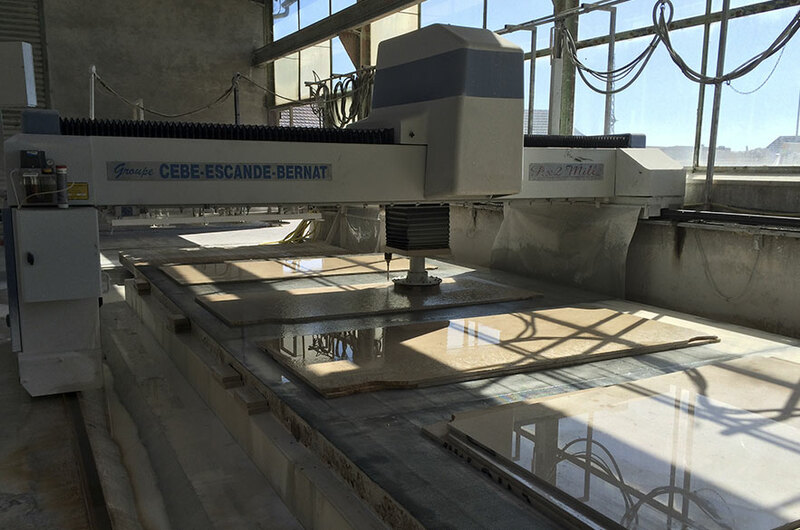 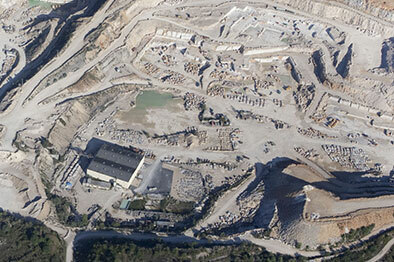 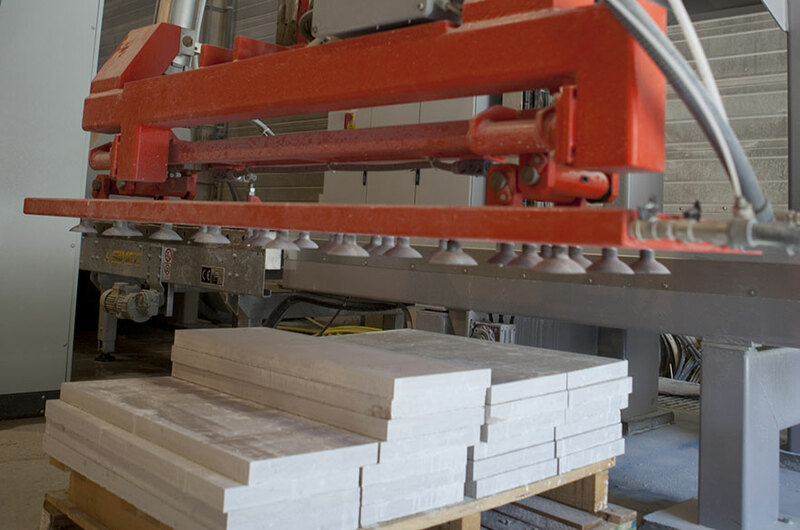 SETP is also equipped with digitally controlled machinery, which it uses for 3D shaping of stone. 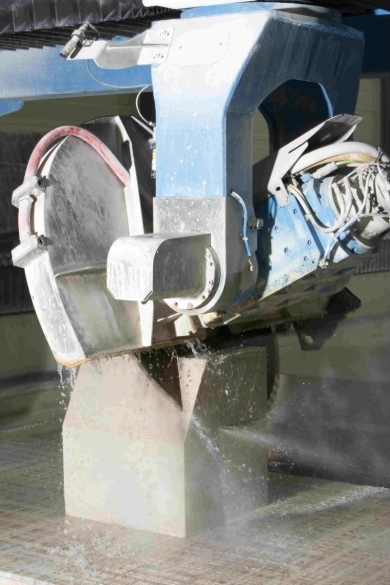 Latest generation polishers create a high-quality honed or polished finish. 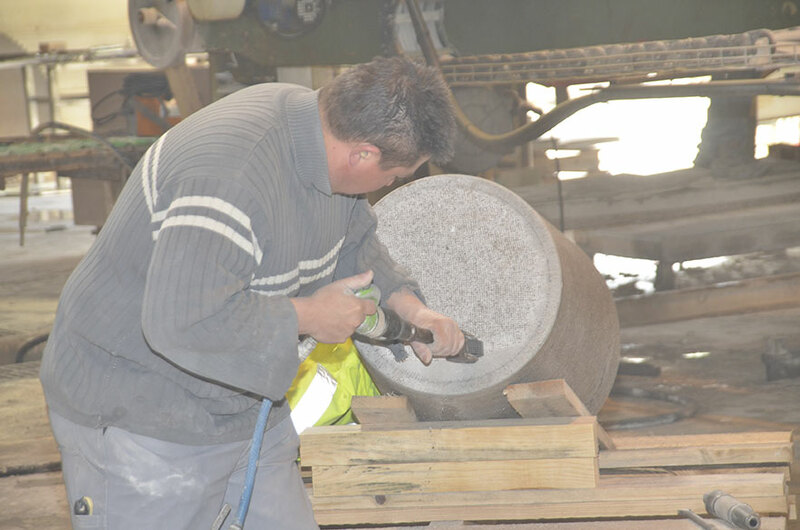 We are particularly keen to preserve stone-cutting skills, in line with best industry practices, to ensure the authenticity of our craft that dates back over a thousand years. 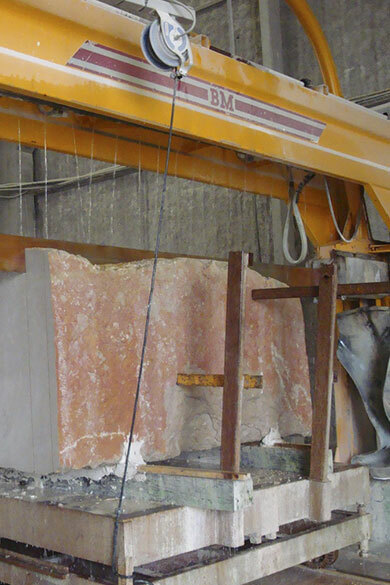 Our stone-cutting workshop uses traditional tools to make custom pieces that meet our clients’ expectations.